Conceived as an heir to the Black Beauty, the Ludwig Black Magic snare seeks to update a classic. 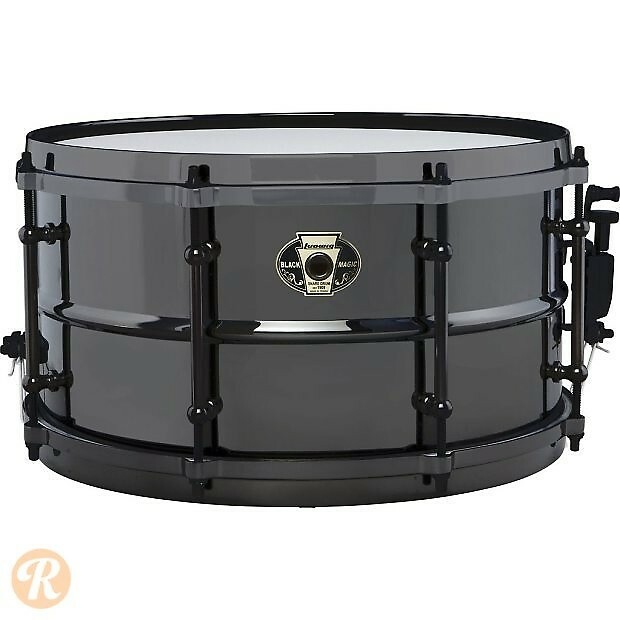 Featuring all black nickel hardware and hoops over a black nickel on brass shell, the Black Magic combines the legendary tone of the Black Beauty with a sleek, modern look. The 7x13 model is an engaging combination of higher pitch from the smaller diameter and added power from the depth.